This Saturday at Cardiff’s Motorpoint Arena, WBO lightweight boss Terry Flanagan is promising to provide a refresher to anyone who doubts his standing as the planet’s premier 135lb prizefighter, writes Glynn Evans. The 27 year old ‘Turbo’ from Ancoats, Manchester is acutely aware that he dipped beneath the lofty standards he sets himself when he plodded past veteran South African spoiler Mzonke Fana in a 12 round snoozer in the Welsh capital last summer. But he intends to settle his debt to Welsh fight fans with interest this weekend. ‘I’ve been given a second chance to show Cardiff exactly what I’m about; an exciting southpaw, the best fighter on a good bill, the world’s best lightweight,’ says the 5ft 9 ½ in southpaw who makes a fourth defence of his belt against Puerto Rico’s Orlando Cruz, the world’s only openly ‘gay’ professional boxer. ‘Last time, I was sh** really. I make no excuses because it was probably the best camp I had – far better than when I destroyed Diego Magdaleno – and I made weight comfy. I really expected to put on a good performance but my head weren’t right. I was flat. ‘After the fight got put back, I just couldn’t get up for it. The atmosphere weren’t the best for my fight and, after 30 seconds, it was clear Fana had just come to survive. Then, I got cut through being daft. Saturday’s defence represents the unbeaten Manc’s fifth world title fight in 16 months and victories over quality Yanks Jose Zepeda and Magdaleno (both second round stoppages) plus Scouse showman Derry Mathews (points) give credence to his claim to be considered the global leader at 9st 9lbs. A demolition job over Cruz in Cardiff will pave the way for superfights at either 135 or 140 lbs in 2017. ‘Super-lightweight will probably suit me better,’ confides Flanagan who has won 31 straight with 12 stoppages (including six of his last eight). ‘I’ll carry my speed up plus I’ll be stronger and able to work that bit harder. But I’ll move up in weight when I choose to, not because I have to. It is getting harder but provided I eat clean and avoid ‘cheats’, it’s not an issue. ‘The names at 140 are no better than those at lightweight and I‘d definitely like to unify before I step up. I’ve still got possible fights with Linares, Crolla and Felix Vardejo to take care of. ‘It’s heavily rumoured that Crolla and Linares will rematch in the new year. 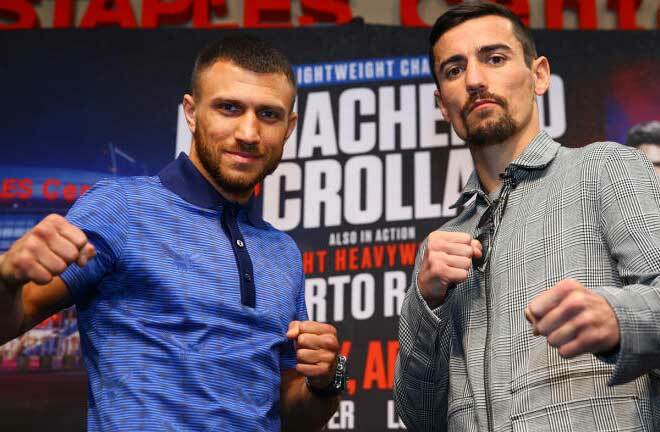 Me and Crolla in Manchester would be huge if he avenged Linares. But we’ve offered the fight to Anthony’s team before and I really don’t think they want it. His camp knows I’m all wrong for him, a superior boxer with a higher work rate. He’s made for me. ‘I’d prefer Linares any way. He looked fragile when Crolla put it on him early doors and his corner seemed very worried. I think he’s ‘chinny’ and I’m confident I’d stop him if I hit him clean. 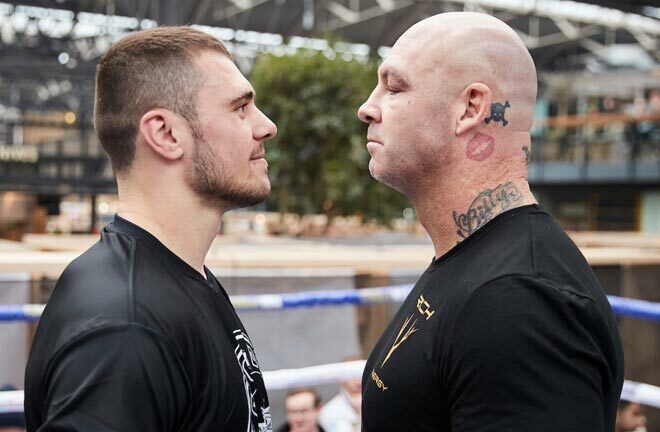 The withdrawal of fellow world champ Billy Joe Saunders plus challenger Cruz’s highly publicised background story have combined to heighten the profile for a fight that might otherwise have slipped beneath the radar. Flanagan fully intends to capitalise. ‘Look, it was very brave of Orlando to come ‘out’ but I’m not interested in either his sexuality or his personal life. I’m only interested in him as a boxer; an opponent. He’s a good fighter but I’m going to deal with him,’ warns the ‘Turbo’. ‘I don’t look too much into his losses, I look at his wins, what he’s capable of at his best. He knocked out some kid who was 19-0 in the first round and he’s won his last five, three by stoppage. He’s got to be respected. ‘From what I’ve seen, he’s tricky and he can bang. Coming up in weight, he’ll be stronger than he’s even been before. ‘I do prefer to fight shorter lads who come on to me but Cruz has fought taller men his entire career. His got a wide stance, drops his hands, makes you miss with his head then attacks from low. He’s no mug. Puerto Rico’s Orlando Cruz is determined to make history by becoming boxing’s first openly gay World Champion. Cruz challenges WBO World Lightweight king Terry Flanagan this Saturday at the Motorpoint Arena Cardiff, live and exclusive on BoxNation. The 5ft 4in southpaw became the first openly gay active boxer when he came out three years and says he is ready for another shot at making history after losing to Orlando Salido in a clash for the Vacant WBO World Featherweight Championship back in 2013. “Terry Flanagan is a true World Champion and will defend his title with everything he has,” said Cruz. “However, I am prepared and ready for victory and to be crowned the new World Champion. I want to inspire the gay community by becoming a World Champion on Saturday. “Terry is a great Champion and a real people’s person. More importantly, he respects my life and my choices. He sees the man boxing him and that is it. Everyone has been very supportive since I came out three years ago. I have the support of my family, friends and fans. “When I look at my story, it makes me hopeful that more people will be inspired to come out. Right now my focus is fully on the big fight on Saturday and winning the WBO Lightweight belt. Glynn Evans provides the lowdown on the groundbreaking Puerto Rican who confronts Manchester’s Terry Flanagan for the WBO lightweight title at Cardiff’s Motorpoint Arena tomorrow night. Cruz was born in Yabucoa on the south-eastern coast of Puerto Rico in July 1981 (now aged 35). He was expelled from six schools for fighting as a child so his mother took him to the boxing gym to instil some discipline. Starting at the age of seven, he had 189 amateur bouts with just 11 losses. He was a multiple national amateur champion and represented Puerto Rico at the 2000 Olympic Games in Sydney, Australia. He was eliminated on a close decision (11-10) in his first fight by an Algerian. His squad mates included future multi-weight world champions Miguel Cotto and Ivan Calderon. Both remain close friends today. Cruz claims that he was aware he was gay prior to making his professional debut as a super-bantamweight in December 2000, aged 19. He notified his parents, brother and sister in 2001. A 5ft 4in southpaw, ‘El Fenomeno (The Phenomenon)’ went unbeaten in his first 17 fights (one draw) and captured the International Boxing Association featherweight crown. Six of those fight took place in the USA and one in Mexico. After suffering back-to-back stoppage losses to Cornelius Lock and Mexico’s two weight world champ Daniel Ponce de Leon in the 2009-10 season, he rebounded with a spectacular first round knockout of California’s 19-0 Michael Franco to capture the WBO Latino featherweight title. Following discussions with psychologists, Cruz released a statement on 4th October 2012 declaring his homosexuality. He became the first openly gay active male professional boxer. His immediate support team were already aware. Thereafter, he has weighed -in wearing rainbow underpants and fought in pink gloves. Prior to coming out, Cruz claimed he feared rejection from within the sport and was concerned potential opponents would refuse to fight him. However, he was ‘overwhelmed’ with the love he received from the boxing community. World champions Marco Antonio Barrera, Juan Manuel Marquez plus Cotto and Calderon were particularly supportive. In August 2013, Orlando was an inaugural inductee into the National Gay and Lesbian Sports Hall of Fame in Chicago. Others inducted that year included footballer Justin Fashanu, tennis stars Billie Jean King and Martina Navratilova plus diver Greg Louganis. In November 2013, he married his partner Jose Manuel Colon, an engineer, in Central Park, New York. Marriage between gay men remains banned in his native Puerto Rico. The publicity no doubt assisted in securing Cruz a shot at WBO featherweight boss Orlando Salido from Mexico in October 2013. Cruz dedicated his challenge to bisexual three weight world champion Emile Griffiths. 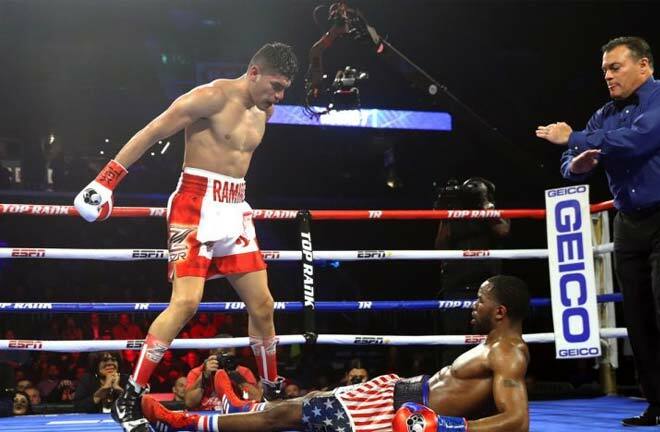 However, he was knocked out in round seven. His record presently stands at 25 wins (13 stoppages), four losses and one draw. 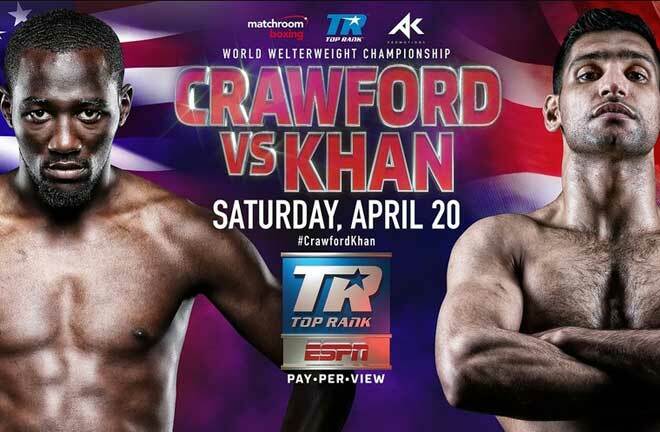 Orlando enters Saturday’s fight with WBO champion Terry Flanagan – his first at 135 lbs – on a run of five successive wins, three by kayo. Champion Flanagan, who’s football playing sister Chelsea is openly gay, has praised Cruz’s bravery regarding his sexuality and also his qualities as a fighter. He expects a stiff challenge in Cardiff tomorrow evening. ‘Salido was very strong and threw lots of good hands and unfortunately one landed. That’s boxing. After that, I made changes to my style. That loss taught me not to stay in the ‘pocket’ for too long. ‘But those are past fights, a long time ago. I don’t care about them. Orlando is a new person. My mentality, my focus, my life, is right no; Terry Flanagan. I’m a big problem for him. ‘Terry is a great champion, very strong. He’s very intelligent and has a cute defence but I don’t care. I don’t watch his tapes too long because I know he’ll have to fight different when he’s faced with Orlando. The WBO give me and my team a great opportunity. One hundred and thirty-five (pounds) is not my real weight – I’m 130 – but this won’t be a problem for me. Undefeated Super-Bantamweight ace Kid Galahad has been added to Frank Warren’s huge Motorpoint Arena Cardiff bill this Saturday. Galahad continues his comeback in an eight round International contest against Barcelona’s Reynaldo Mora, live and exclusive on BoxNation. 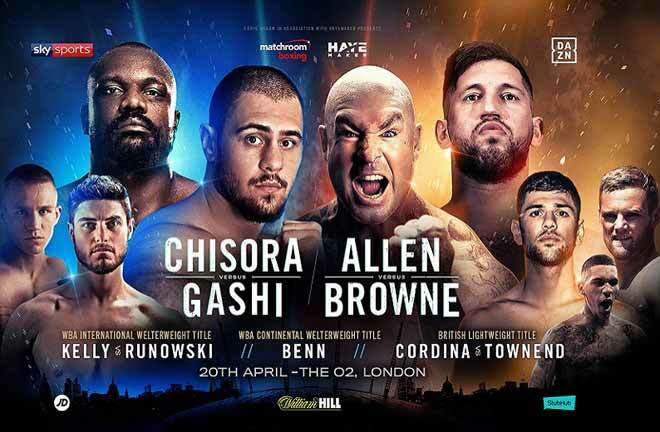 The 26-year-old, a former British, Commonwealth, European, WBC International and IBF Youth Champion has racked up two wins this year and featured last at the 02 Arena when he blasted out Emiliano Salvini in four round. Now the Sheffield hot-shot is itching to get back in the ring and put on a show for the Welsh public. A mouth-watering match-up with Cuban pound-for-pound star Guillermo Rigondeaux has been touted for next year but Galahad remains fully focused on his task at hand. “I’m delighted to be joining such a big show,” said Galahad. “I’m itching to get back in the ring and do what I do best. This will be my first time boxing in Wales as a pro and I’m determined to put in a top performance and win over some new fans.